Download our Paris RER map here! You might already be familiar with the popular and extensive Paris metro. The metro is absolutely perfect for traveling in and around the city. But what if part of your travel itinerary is visiting Versailles or getting an early start at Disneyland? Or even simply getting from the airport to the city center? Here is where the RER suburban trains come in play. Not only do the RER trains take you to these destinations beyond the city limits, they also allow you to travel within Paris faster! 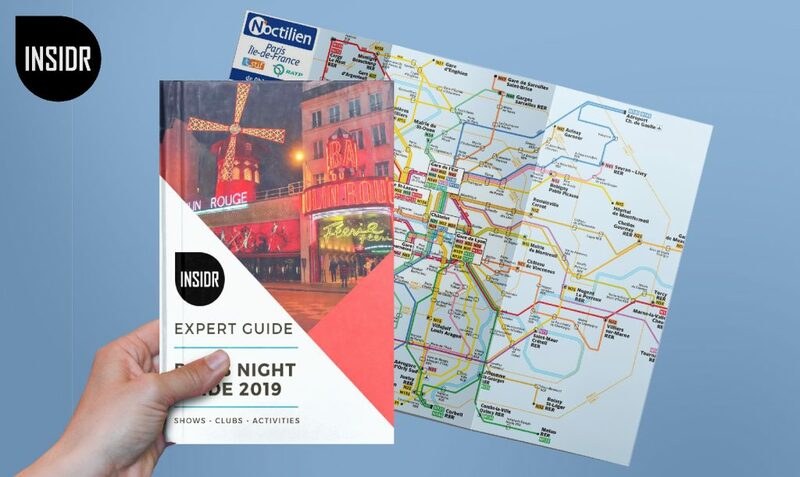 Our Paris RER map will guide you through this vast network and share with you the best tips for navigating it like a Parisian. First of all, it is important to understand that there are 2 different types of suburban trains across the Paris Region: the first are the RER trains which cross the city center and terminate in the suburbans areas that surround Paris. They are easy to access with many shared stations with metro stations in the city. They also come very often with approximately 1 train every 3 minutes during the busiest hours of the day. The other type are the Transilien trains which depart from one of the main stations in Paris and go beyond the Paris Region and all the way to Normandy or the Loire region. – RER B is one the busiest RER lines in the Paris Region as it crosses the region from North to South. The bold blue line represents RER B on the Paris RER map above. It is often very crowded with both locals and tourists because it stops at Paris’ main airports: CDG airport up North and Orly airport down South at Antony station. RER B also stops at Chatelet-les-Halles which is the biggest metro and train hub within Paris city center and Gare du Nord where trans-European rail services like Eurostar and Thalys depart from. You will also find some attractions and monuments on RER B like Notre Dame Cathedral at Saint Michel Notre Dame station, Luxembourg Garden and Pantheon at Luxembourg station, and also the Catacombs at Denfert Rochereau station. – RER A is another main RER line in Paris. You’ll find it marked on the Paris RER map with a red line. It crosses the city center from west to east. RER A makes stops at stations La Défense—the financial district of Paris, Chatelet-les-Halles, and Nation which is a big transport hub in the far east of Paris. In the middle of the city, RER A stops at Auber station. This station gets equally busy as it connects to many metro lines. It is also right by Saint Lazare station where most of the Transilien trains depart. We encourage travellers in Paris to familiarize themselves with the RER A train line as it is the line that takes you to Disneyland Paris and to the famous La Vallée Village outlet mall. 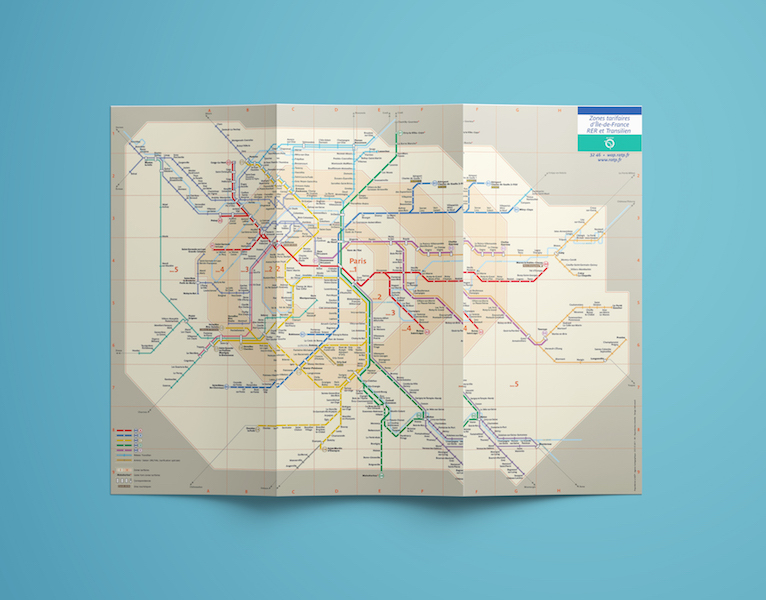 Download our Paris RER map here for free! – Chatelet-les-Halles station is the largest transportation hub in Europe. It is very easy to get lost in this station where 8 different lines congregate. RER lines: A, B, D and metro lines: 1, 4, 7, 11, 14. – République station is another main metro station in Paris with 5 lines going through. The station is in the center of one of the main squares in the central-eastern part of Paris. The square is also the N°1 spot for mass demonstrations in Paris. As a consequence, RATP shuts down République station from time to time for security reasons. – Montparnasse station is another big transportation hub. 4 metro lines go through this station with Transilien and TGV trains stopping here, too. Montparnasse is full of Parisian commuters traveling in and out of the city. This station is also especially challenging to travellers with big suitcases as the corridors go up and down without escalators. – Saint Lazare station which connects to the Saint Lazare regional train station is also a very large station. Finding your way through the station can be quite confusing as it has many levels and numerous exits. – Louvre – Rivoli on Line 1 is one of the nicest metro stations in Paris. As soon as you get off, you’ll see reproductions of famous masterpieces such as sculptures that are on display at the Louvre Museum. – Concorde on Line 12 is another unique and stunning metro station in the Paris metro network. White tiles with indigo blue letters fully cover the platform walls on both sides. The giant walls of words are extracted from the Declaration of Human Rights. – Arts et Métiers on line 11 has been redesigned in the 90’s by a Belgian comic books artist named François Schuiten. Commuters feel as if they’re inside a giant submarine because the platform seems to be made of copper. The design for the platform is said to be inspired by steampunk aesthetic and Jules Vernes’ science fiction. – Cluny La Sorbonne on line 10 is beautifully ornamented with an art installation of colorful mosaic tiles. – Palais Royal- Musée du Louvre‘s entrance on Square Colette is one of the most beautiful in Paris designed by French artist Othoniel. It is a stunning reinterpretation of the famous Guimard’ entrances using an installation of blown glass beads. For more practical tips about Paris check out our visit Paris travel guide. 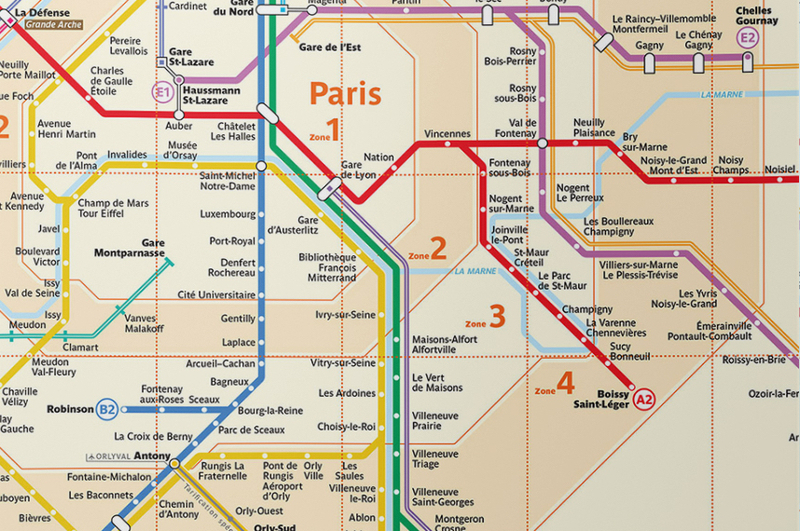 Go beyond just mastering the Paris RER map! 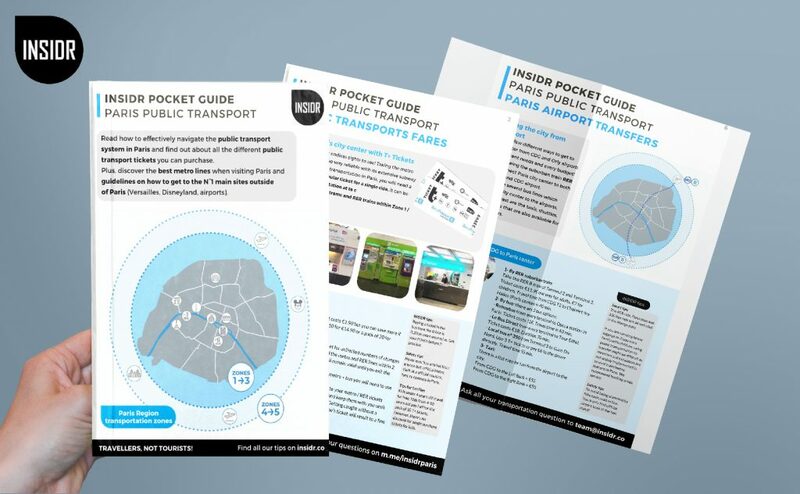 To know more about using other forms of transport in Paris, getting the right transport tickets and traveller passes, we recommend that you bring with you our Paris Public Transportation pocket guide. This pocket guide comes in a PDF file that you can conveniently keep in your phone or tablet and take out as you navigate Paris. You can request for your FREE Paris Public Transportation guide here. More INSIDR tips about Paris Public Transportation! You liked our Paris RER map? There are more free INSIDR Travel resources for you! 1- Paris neighborhood maps !